You are here: Home / Testimonials / Lost about 80 lbs and now I’m fighting! 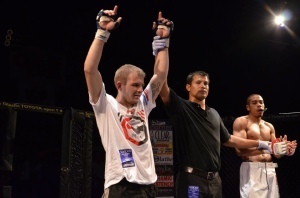 Lost about 80lbs with the help of the coaches and staff at this location…and now I’m competing and winning fights! Top notch training for pros and beginners alike!